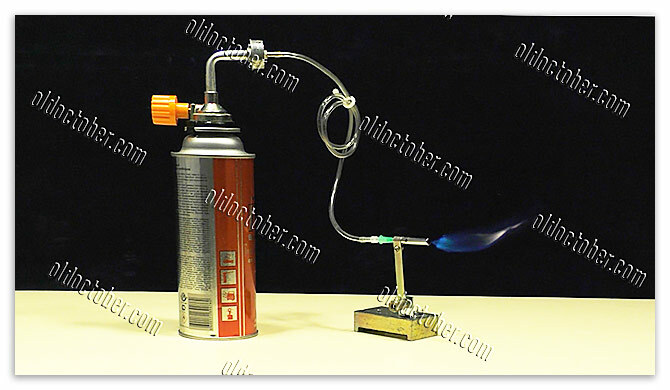 To implement this project, the following products were used: a medical dropper, a broken telescopic antenna and the cheapest Chinese gas burner. 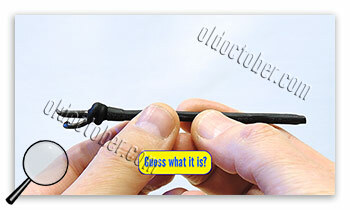 That’s what the burner looks like when it’s assembled. 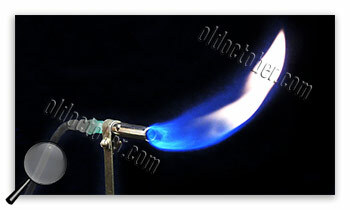 To show the gas burner in operation, I made a small device, which I will describe in one of the following video clips. 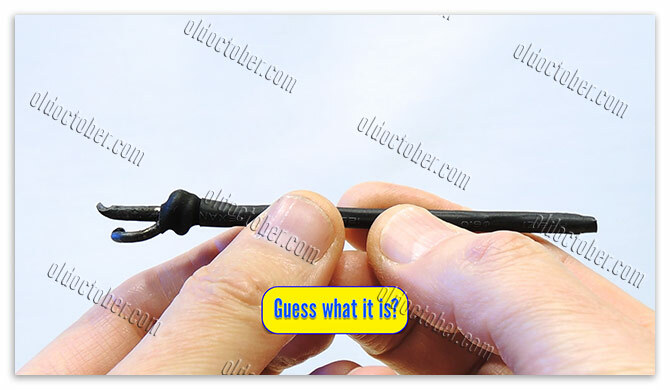 I hope you can guess how you can use this gadget. 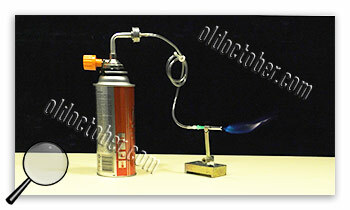 Thanks to the constructive criticism of one subscriber, the blog produced a new burner. Size became larger and the flame size is reduced. The temperature also increased. The gas is afterburned, since there are no yellow flames. 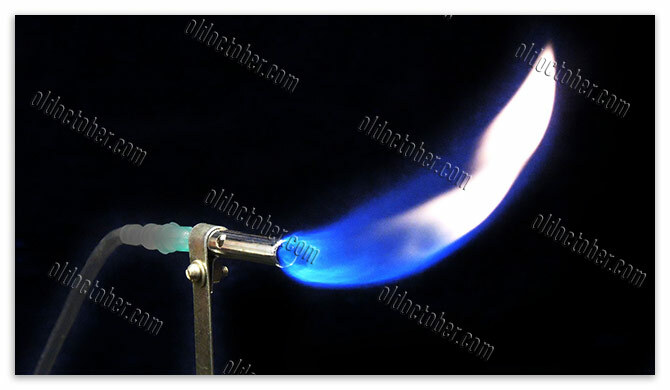 The temperature, judging by the color of the hot steel, reaches 1200 ° C.
The assembly of the burner has even become simpler, and the reliability of the needle attachment has increased.